We’ve just wrapped with our fifth Artist in Residence – freelance videogame environment designer, Tobias Koepp – who’s contributed incredible work at Amsterdam’s Guerilla Games for their upcoming PS4 title, “Horizon Zero Dawn,” and at Elite3D in Valencia Spain. 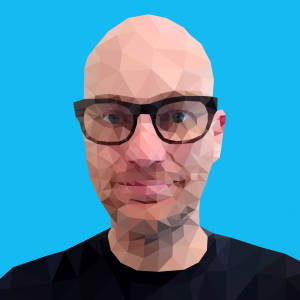 We look back at Tobias’s residency, and get a chance to ask him a couple of final questions about his experience working with Sketchfab. To celebrate the launch of our VR navigation and the addition of VR settings to our 3D editor we asked Tobias to create an environment that would make an incredible destination for VR and he surpassed our expectations in every imaginable way. Tobias came up with the idea of a Pirate themed scene in which a ship would be attacked by a sea creature, the Kraken. What was it like using Sketchfab for the first time? I found the Interface is very user friendly and easy to navigate through. Sharing and integrating the viewer is very easy as well. Tobias uses Maya as his primary modeling tool and shared his initial scene blocking techniques. After using Sketchfab to explore a couple of prototype scenes, he was able to make some decisions about how to open up the scene and make it more dynamic. This was a great lesson in the value of using blocking to make key staging decisions before getting into details. What did you learn about using Sketchfab in your workflow? It’s cool to share work in progress scenes for other to navigate through. On screenshots it’s sometimes hard to judge scale especially in early stages of the project, so I will send viewer scenes to folks to give me some feedback in the future. 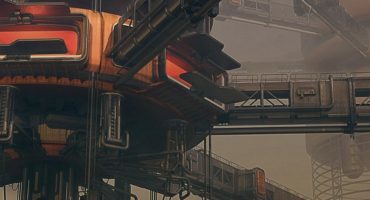 Tobias generously shared how he uses sculpting in Zbrush and hand painted textures in 3D-Coat to get a stylized look and used his cannon prop as a start-to-finish explanation of his technique. What was it like working with our material settings? I sometimes uploaded my files just to test, but since I used PBR, my final models and textures look somewhat alike in various engines and viewers. So I felt comfortable to skip some of the testing and only uploaded final versions. After adding more props to his scene and sharing his workflow, Tobias set up his VR settings to allow the Sketchfab community to visit his near final scene. Finally, Tobias put the icing on the cake so to speak by adding his Kraken, no doubt angered by the fact that one unlucky pirate had stolen the wrong treasure! 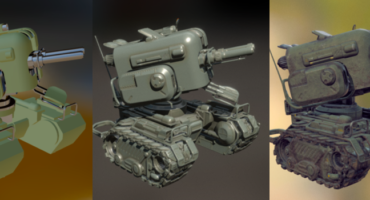 To learn more about Tobias’s process, make sure you check out his official Artist in Residence thread on our forum and keep up with his latest work by following him on Sketchfab. If you have a freelance or fulltime opportunity for Tobias, shoot him an email! Congrats of finishing a true masterpiece. So great! I can’t wait to look at your scene in VR. Thanks for sharing your process.